The Hawai’i Pay Team worked together to transform the state’s antiquated payroll system into a “best practice,” computer-based operation. The mountains of paperwork . . . the armies of clerks manually entering salary numbers for every pay period. For the past 50 years, thousands of state employees from every department have depended on an antiquated paper-based process to be paid. 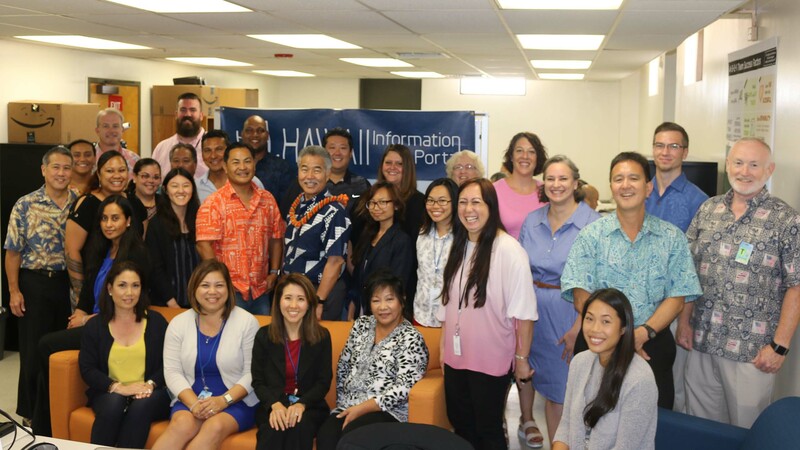 The good news: The system has been transformed since Governor Ige made modernizing the core operations of state government one of his top priorities to improve services. It’s taken a dedicated team of state employees — the Hawai‘i Pay Team — to transform the state’s massive payroll system from a hugely labor-intensive process to a new computer-based, “best practice” operation, using an automated clearinghouse (ACH) for electronic deposit to financial institutions anywhere in the U.S. So far, two groups totaling 23,000 employees have successfully transitioned to the modernized system. Group 3, consisting of about 55,000 employees from the Department of Education and the University of Hawai‘i system will transition in December. The project is being implemented by the Department of Accounting and General Services in coordination with the Office of Enterprise Technology Services and CherryRoad Technologies, Inc.